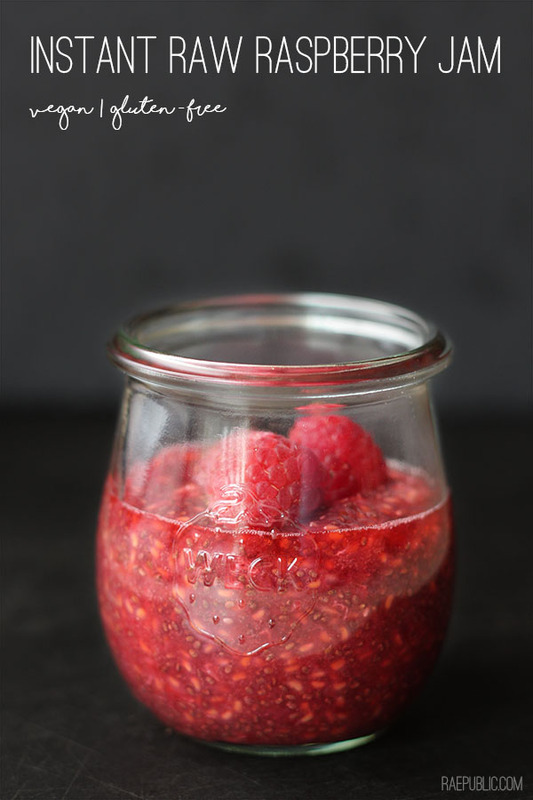 Instant raspberry jam, say what!? This easy raw vegan spread is so tasty and it literally takes minutes to make. Spread this delicious plant-based jam over toast, or heck, scoop a bit on top of your oatmeal, because why not? Raspberries are a great source of vitamin C and fiber. In a small bowl mash raspberries with a potato masher or a good old fork. Add in water, chia seeds and maple syrup and thoroughly stir. Let sit for at east 30 minutes before spreading it over your favorite taste! Try this paired with our vegan Easy Sandwich Bread!